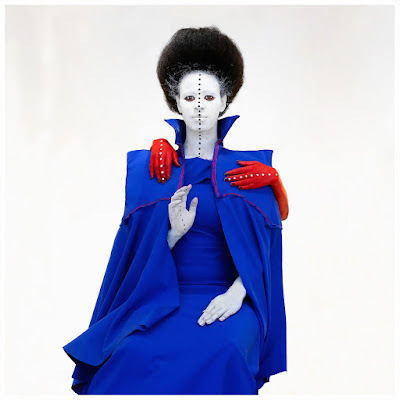 Aïda Muluneh is the master photographer exploring questions about life and spirituality through decorative body painting. 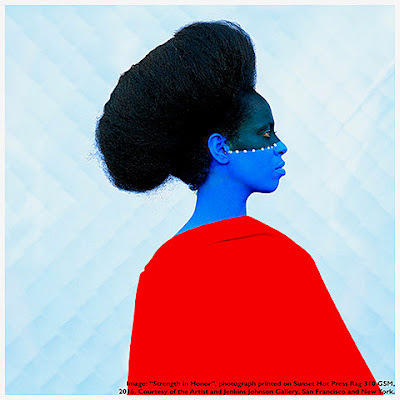 Rooted in Ethiopian tradition and custom, the paintings in her images — are of stark whites, vibrant reds, azure blues, and monochromes sometimes dotted with black. 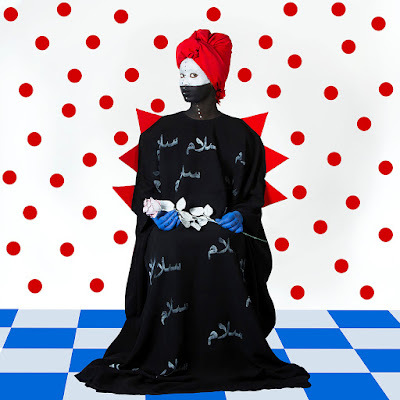 This spring, Muluneh is one of the artists featured in the Museum of Modern Art’s “Being: New Photography 2018” exhibit, and closer to our home in Indiana, Muluneh's exhibition, "Memory of Hope" continues this month at Purdue Galleries. On Friday, March 23, at 3:00pm, Aïda Muluneh will present a talk, “Crossroads of Afro-futurism in Fine Art Photography,” at Purdue University in Matthews Hall room 210. Are you an artist? Are you a collector? If you like what you see each week, please invite a friend to subscribe to our weekly e-newsletter. 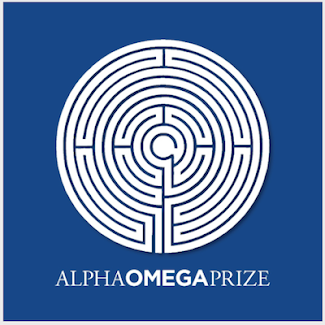 You can also follow us weekly on Twitter, Facebook, or Soundcloud but only subscribers can vote for the Alpha Omega Prize. 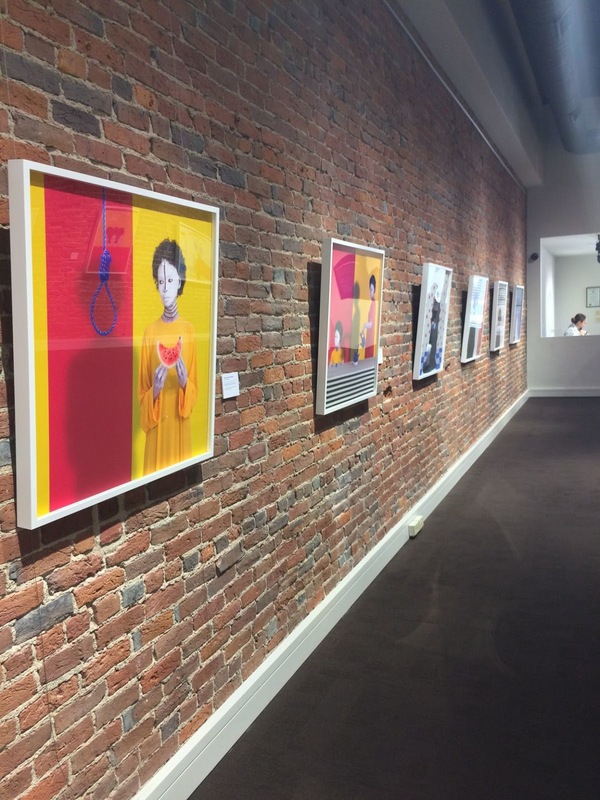 It is our annual recognition each November 1st of one artist's impact on religious dialogue in America. “Strength in Honour” will be one of many pieces by photographer Ai¨da Muluneh on display during Purdue University Galleries’ exhibition, titled “Memory of Hope,” at Fountain Gallery from Feb. 27 through March 31. Aida Muluneh's "Memory of Hope" exhibit opened on Monday and will be on display in the Fountain Gallery until March 31.